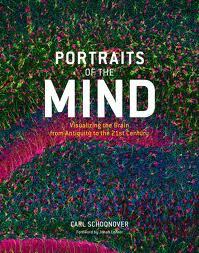 The drawing above, by Santiago Ramon y Cajal, appears in the spectacular new book: Portraits of the Mind. It is a fascinating tome leavening a narrative of the development of neuroscience with extraordinary images of milestones along the way. 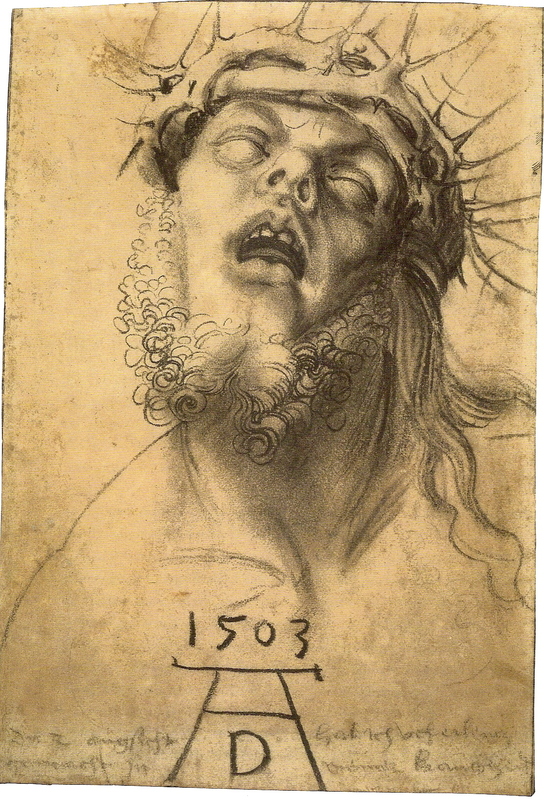 The exquisite quality of many of the images conveys a sense of wonder in three different regards: of the brain’s incredible intricacy; of the genius of the techniques invented to make that observation possible; and of the incredible talent employed in a variety of media bearing witness. Jonah Lehrer writes in the forward: “Keats knew that truth exists in a tangled relationship with beauty, and nothing illustrates that poetic concept better than these scientific images. Their empirical power is entwined with their visual majesty.” Yep. Nobel laureate (1906) Ramon y Cajal has been called the father of modern neuroscience. Using a technique developed by his contemporary and co-Nobel recipient Camillo Golgi*, he found that the “fundamental organizational and functional units of the nervous system are individual cells” – neurons. This ‘Neuron Doctrine’ supplanted the Reticular Theory which had held that the nervous system was a vast unorganized, unstructured, tangled net. The work above depicts axons wrapped around a neuron. Specifically those of a thalamus. 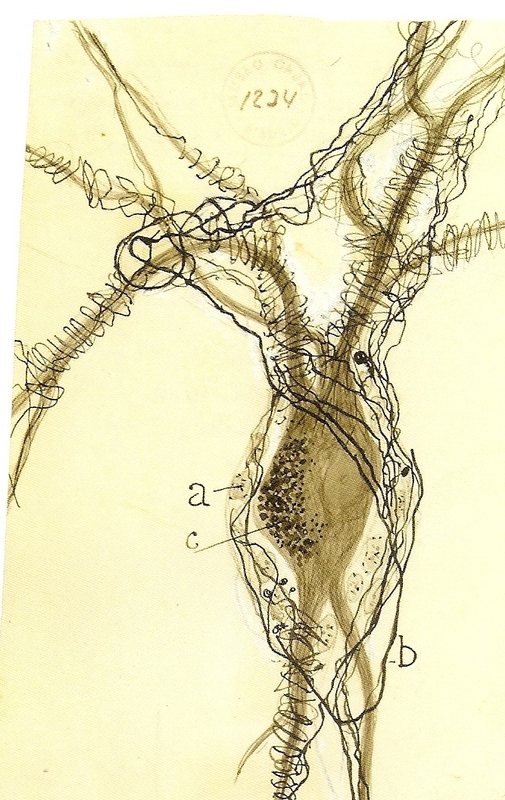 ** The draftsmanship is stunning – one gets a sense of three dimensions by the manner in which he manipulated the quality of the axon lines about the bulbous soma and its dendrites. The axons have come from other neurons with messages. The interaction is exquisite. From vastly different perspectives, but with similar apparent simplicity, two great men have managed to take our breath away in meditation on the nature of mind, man, and the human condition. *They didn’t like each other, didn’t work together, and spoke ill of each other during their acceptance speeches. **Interestingly, Ramon y Cajal’s work showed that neurons and their parts differ from one part of the brain to another. “Each part of the brain bears its own signature architecture of axons”. The breadth of shapes and sizes (as depicted by R y C) is amazing. This entry was posted on December 31, 2010 at 8:49 pm and is filed under Art, consciousness/psychology, Science. You can follow any responses to this entry through the RSS 2.0 feed. You can leave a response, or trackback from your own site.